This personalised wedding notebook has a pretty confetti design. It is available in four colour schemes – pink, purple, green or blue. 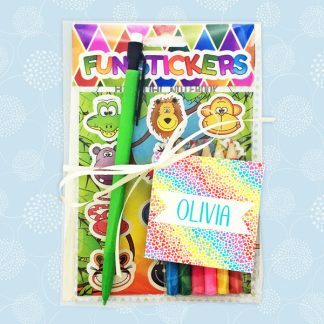 It can be used to help with wedding planning or as a diary – perhaps as an engagement gift or birthday present for a bride-to-be. 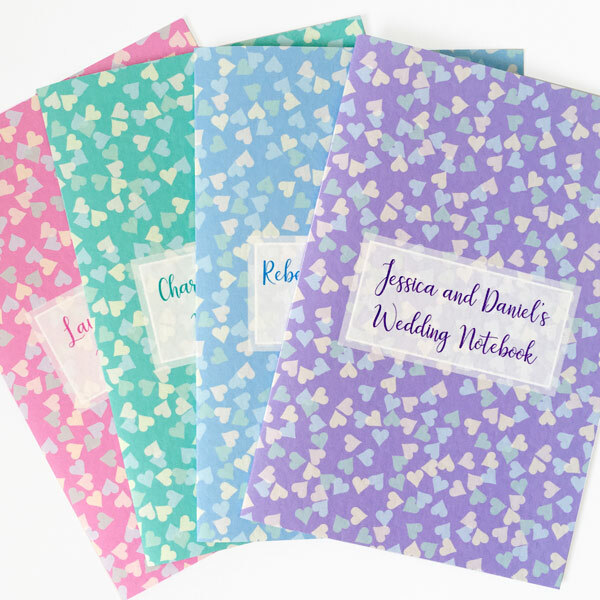 These notebooks are also popular with Brides who give them to their bridesmaids and others who are helping them plan their wedding. This wedding notebook organiser measures 10.2 x 15 cm (roughly A6 size) and so can easily be carried around in a handbag, pocket or wedding planning folder. The cover design is printed on 300 gsm Conqueror card using pigment ink, which is designed to be splash proof and smudge proof. The front cover of the notebook can have wording of your choice e.g. Sarah and Hugh’s Wedding Plans. 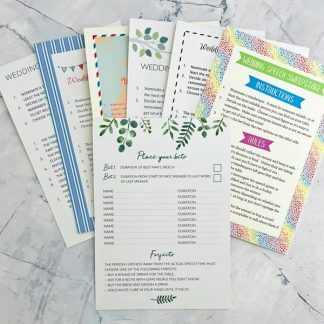 The personalised wedding notebook contains 24 pages (48 sides) of 100 gsm white Conqueror paper and a coloured end sheet. It is hand sewn using coloured waxed thread to match the colours in the design. The first page of the notebook can be customised with a title, message to the recipient or other text. Your wedding notebook will be gift wrapped in tissue paper and ribbon or twine – so it’s ready to be given as a gift as it is.